By Daniel Greenwood (local resident). In November 2014, flyers were circulated to residents around the Canonbie Rd/Tewksbury Lodge area about an ‘illustrative scheme’ to be exhibited for public inspection. 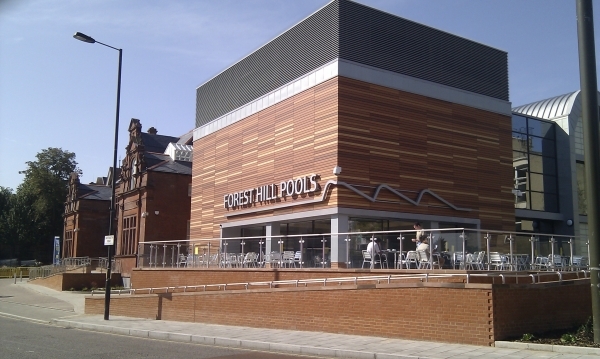 Many local residents and members of the Forest Hill Society went along to find out more. We asked Daniel, who attended the presentation, to tell our readers why this site is so significant. 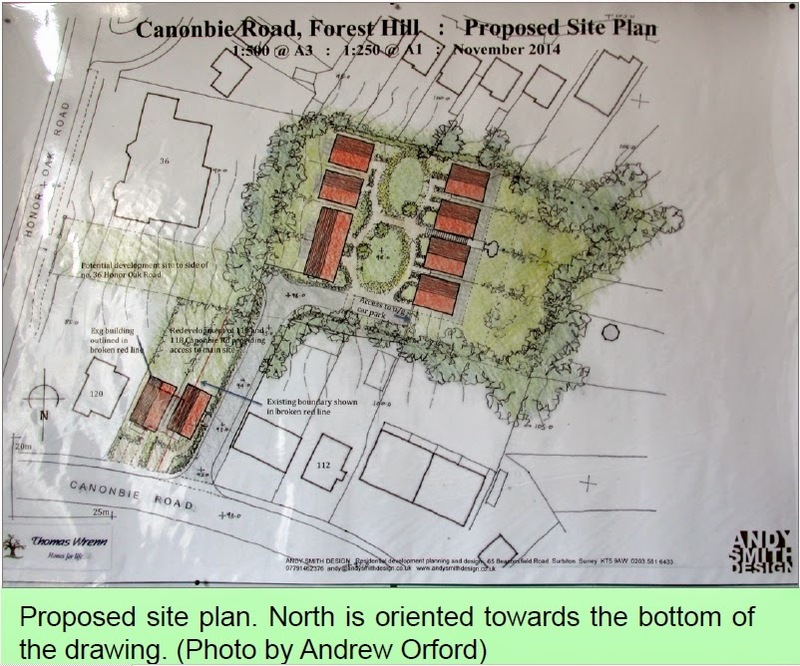 On a sunny Saturday morning last November, I attended a presentation by Thomas Wrenn Homes at The Forest Hill Friends Meeting House to outline proposals to build seven houses on the Honor Oak Road Covered Reservoir site. The Reservoir site is lodged between Canonbie Road, Honor Oak Road, Horniman Drive, and Liphook Crescent. The plans (for an ‘illustrative scheme’) showed the houses to be built on the site, which is, however, designated as a Grade 2 Site of Borough Importance for Nature Conservation. Access to the new development would be created from Canonbie Road. I did not have a chance to speak to Mr. Wrenn — since he was busy answering questions from concerned residents — but spoke to the development’s designer, Andy Smith. I suggested to him that an ecological survey was of the utmost importance, to which he responded by underlining the need for a ‘positive ecologist’ to survey the site. As someone who was raised in SE23, the green spaces of the local area hold great meaning for me. The Reservoir site is one I never had the chance to visit as a child or teenager but others before me did have the opportunity. 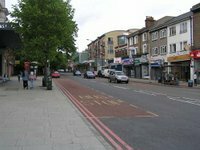 The site gets its name from an underground reservoir built into the hilltop of the Tewkesbury Lodge estate, which was formerly part of the extensive Sydenham Common. It was once owned by Thames Water and ceased to function as a reservoir 40 years ago. It was sold at auction in 1995. An ecological study of Lewisham conducted by John Archer and Ian Yarnham for the London Ecology Unit (‘Nature Conservation in Lewisham’, 2000) noted that the Reservoir site ‘supports some of the most interesting grasslands in Lewisham and is home to several rare plants and invertebrates’. One such plant is the site’s colony of cowslip, which the study described as having ‘all but disappeared from most of London’. The Reservoir site was ‘the only place in Lewisham that cowslips still occur, except where they have been deliberately planted’. The ecological guide also celebrates the literary history of the reservoir; Walter de la Mare (1873-1956) lived on nearby Bovill Road and was inspired by his time at the reservoir as a child to write several poems. This is not the first time the Reservoir site, a private area with no public access, has been threatened with development. In 1999, the Secretary of State rejected a planning application for housing following a Public Enquiry, due to the ecological value of the site. Residents who attended the presentation were obviously concerned about the loss of valuable space for nature. Some felt that the arguable weakening of planning regulations, through the introduction of the National Planning Policy Framework, has offered hope to Mr. Wrenn for building his plans on this precious green space. While Lewisham Council will be conducting updated surveys of their Sites of Importance for Nature Conservation (SINCs) in 2015 and will solicit permission to access the Reservoir site, Mr. Wrenn is under no obligation to give his permission. Nature in South London — which is not just confined to designated Nature Reserves — is being threatened by a new wave of building (which is not geared towards solving an affordable housing crisis), and the borough’s SINCs are in the firing line. Though no planning application has been submitted so far by Mr. Wrenn’s company, the Reservoir site could be threatened with development once again.